A colourful rally was brought out in the city on Thursday morning marking the World Tourism Day 2018. The rally was started from Matsya Bhaban intersection at 8:30 am and ended at TSC intersection in Dhaka University campus. Civil Aviation and Tourism Minister AKM Shahjahan Kamal, among others, spoke at the rally highlighting the importance of the day. Members of the Tour Operators Association of Bangladesh, Aviation and Tourism Journalists’ Forum of Bangladesh (ATJFB), a platform of journalists covering aviation and tourism affairs, Bangladesh Tourism Board (BTB), Bangladesh Parjatan Corporation and other stakeholders took part in the rally. The government and different organisations have chalked out various programmes to celebrate the day. President Abdul Hamid and Prime Minister Sheikh Hasina issued separate messages marking the day. 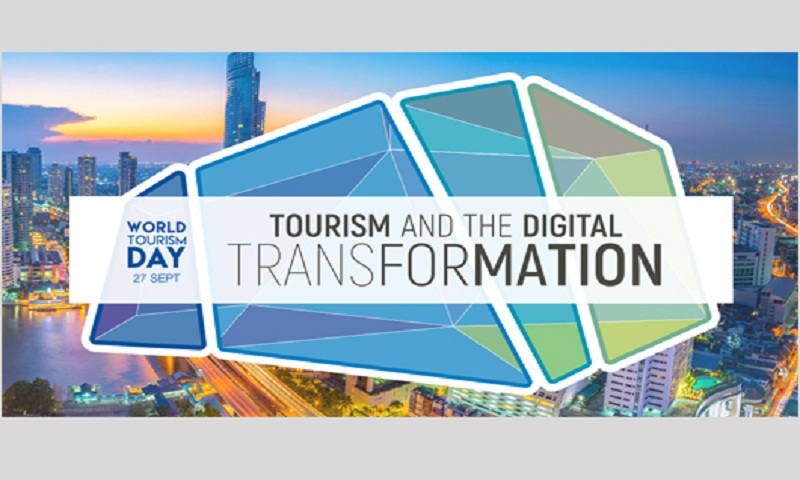 UN Secretary-General Antonio Guterres has called on governments to support digital technologies that can transform the way people travel, reduce the ecological burden of tourism and bring the benefits of tourism to all. “Digital technologies have brought a positive momentum to societies and economies around the world. They’ve connected us on a global level, helped to empower the most vulnerable and become our crucial allies for sustainable development,” he said in a message marking the World Tourism Day that falls on September 27. This year’s theme for the day is ‘Tourism and the digital transformation’. The UN chief said the wide reach of tourism into many sectors, from infrastructure and energy to transport and sanitation, and its huge impact on job creation, make it a vital contributor to the 2030 Agenda for Sustainable Development. “At the same time, tourism plays a pivotal role in advancing the cultural understanding and bringing people together,” he said. Yet tourism, Guterres said needs innovation in technology to realise its potential contributions. “Its benefits need to flow to host communities. Governments can help connect startups with investors to facilitate innovation, entrepreneurship, employment and a truly inclusive tourism sector,” he added. Meanwhile, Rabindra Sarobar in Dhanmondi, one of the capital’s popular cultural venues, wore a colourful look as three-day tourism festival “Biman Tourism Fest 2018” will begin on Thursday afternoon. The theme of the festival is “Tourism and the Digital Transformation”. ATJFB with the administrative support of BTB will host the festival. Different organizations will display various tourism related products and activities at the venue from 10 am to 7 pm every day. Civil Aviation and Tourism Minister AKM Shahjahan Kamal will inaugurate the festival as the chief guest at 3 pm. Social Welfare Minister Rashed Khan Menon will attend the closing session on September 29. A discussion on the tourism master plan centring the Sundarbans will be held on the second day of the fest on September 28. Experts and different stakeholders of the tourism industry will take part in the discussion where Civil Aviation and Tourism Secretary Md Mohibul Haque will attend as the chief guest. On each day of the carnival, a cultural show will be staged where popular folk bands, bauls and other traditional solo singers will be performing. Besides, tribal and traditional dance performances are also included in the festival itinerary. The festival is sponsored by the national flag carrier Biman Bangladesh Airlines as the title sponsor and powered by US-Bangla Airlines. NOVOAIR, Rangdhanu Group, Regent Airways and Way Dhaka joined as co-sponsors while Well Food and DBC became food and media partners respectively. Bangladesh Parjatan Corporation (BPC), Association of Travel Agents of Bangladesh (ATAB) and Tour Operators Association of Bangladesh (TOAB) also joined hands as strategic partners of the fest.